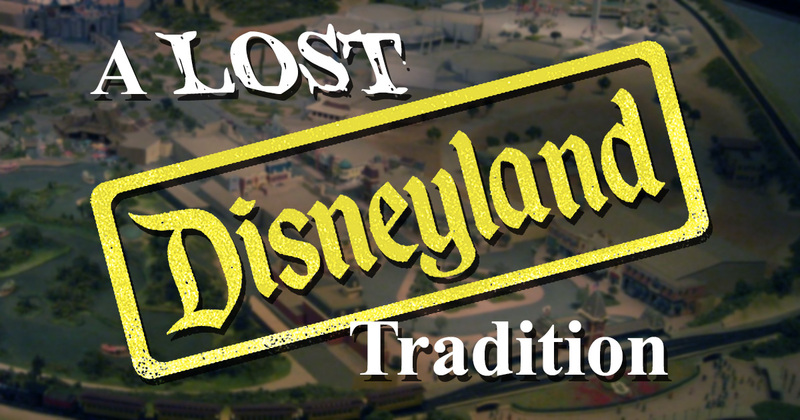 Over the summer, Disneyland quietly eliminated one of its long-standing traditions. It was done in the name of progress. Disney World got rid of it years ago. It was just an operational thing anyway. Nobody cared about the Disneyland re-entry hand stamp. What Was the Disneyland Re-Entry Hand Stamp? Since the Dawn of Time, caveman lawyers have labeled theme park tickets as non-transferrable. By the Noon of Time, caveman guests were figuring out sneaky ways to transfer them. One such method involved a caveman leaving the park and handing his ticket to a cavewoman. She would then re-enter, pretending that she had been there earlier but had just gone back to the cave for a quick mastodon churro. Flummoxed by this deceitful and unprofitable practice, the caveman lawyers began branding each exiting guest with a hot iron, in order to recognize them upon re-entry. 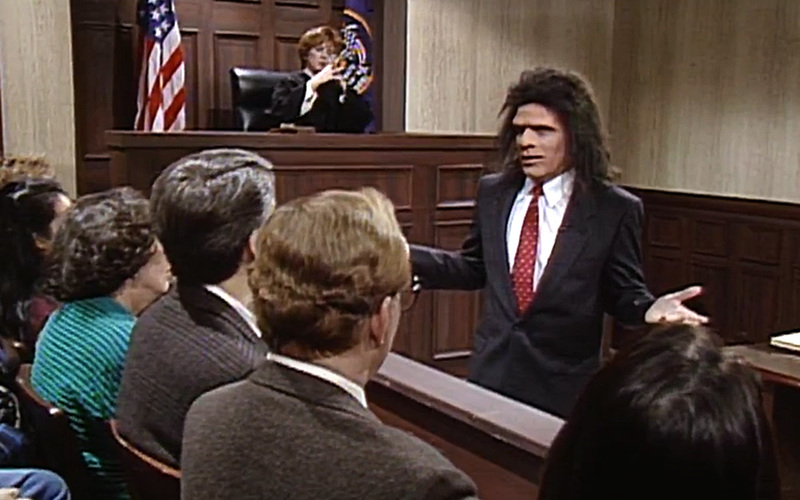 If a cavewoman showed up with a used ticket but without any burning scar tissue, the lawyers would kick her out. It wasn’t long before the cavewomen were replicating the brands at home and once again subverting the system. This went on for several millennia until the mid-20th century, when Disneyland finally hit upon the idea of using ultraviolet ink on a rubber stamp. An exiting guest could receive a hand stamp for re-entry on the same day. Yes, it was some Cast Member’s job to stand at the exit terminal and blot the back of your hand like you were an overdue library book. The stamps were invisible immediately after application. Only by holding your hand under a blacklight at the re-entry turnstile could the secret re-entry code be revealed. Ladies and gentlemen of the jury… I’m just a cave man. Your magical re-entry hand stamp procedures frighten and confuse me. With the advent of digital technology, guest recognition became as simple as taking their picture. In July of 2017, the Disneyland re-entry hand stamp was replaced with a simple photo system. Today’s photo technology is ubiquitous, not special. There’s a good chance you’re reading this article because of Facebook (and if you haven’t liked Parkeology yet, what are you waiting for?). Facebook has had facial recognition software for years. But invisible ink is something straight out of a 1950s Cold War spy story. It’s retro-tech from the Space Age, when every kid wanted to be Nancy Drew or the Hardy Boys, and mysterious gadgets like invisible ink and secret decoder rings were available from shady ads on the backs of comic books. Look no further than Parkeology’s own Johnny Shipwreck novel. Unless we’re an investigative reporter out to expose substandard hotels or the owner of a rave club, most of us don’t work with blacklight on an everyday basis. It’s silly but mysterious. The domain of spook houses and sideshows. The true thrill of the Disneyland re-entry hand stamp didn’t come from re-entry. It came later that night — after Main Street had long since turned on its twinkling popcorn lights while the moon bathed the Matterhorn in a preternatural glow. You would find yourself taking in one more ride — perhaps one of those Fantasyland dark rides which are always so empty towards the end of the night. Or sometimes, empty at any point of the day. There you would be: whisking through Pinocchio’s Daring Journey, listening to those clackety wheels as your car snaked its way along the bus bar — always somehow louder and more primitive at night. For a brief moment, the blacklight illumination would fall on your wrist and reveal the mysterious message. That’s a thrill straight out of childhood. And you don’t get it with photo recognition. Parkeology loves to talk nostalgia. It goes beyond remembering old rides. It’s about remembering old feelings. A couple years ago, I wrote about a few of my traditions on the last day of a Disney vacation. Somehow in that article, I managed to leave out my most personal and enduring ritual. I think I forgot about it because I’m primarily a Disney World guest. Disneyland trips are infrequent. But whenever I find myself on the West Coast, I fall back on old habits. On my last day — upon leaving the park for the last time to come back home — I always make a point to get the Disneyland re-entry hand stamp. It’s a precaution, you know. The plane could break down and I could find myself with another twelve hours to kill. Or what if I lost my wallet and need to make a quick visit to Lost and Found? But really, it’s symbolic. It means I’ll be back. Not today. Probably not even this year or the next. But sometime. And when I return, I want Disneyland to let me back in. 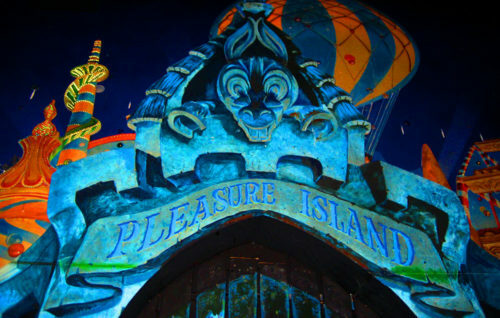 This entry was posted in Disney Theme Park News and Rumors and tagged Disneyland, Pinocchio's Daring Journey. Bookmark the permalink. What if Disneyland Arrived 60 Years Too Late? ← Recent Discovery! Long-Lost Epcot Double-Decker Bus Found! Aw that is sad. Growing up going to WDW countless times I still remember the feeling of loss when they stopped doing the hand stamp. On our first trip to DL it was such a great little surprise to be leaving and given the stamp again! It seems like such an inconsequential no cost thing to do why get rid of it? Saves pennies a year I guess. Yeah, I can’t imagine it even saves pennies. Digital technology maintenance and overhead has to be more than the cost of ink. Longtime Disneyland patron here. On my first visit to Disney World (2015) upon leaving the parks to come back later I reflexively looked around with a dazed and confused look “Where do I get my hand stamp?” Old habits die hard. I feel like the Disney World handstamps have been gone for a decade or more. It made the Disneyland handstamp that much more special when I would take West Coast visits. While listening to Foxfurr’s awesome Musical Souvenir, the monorail announcement mentioned getting a hand stamp at the resorts. Were there hand stamps or ticket charges for the monorail back in the early days of WDW? Or was that only for the local monorail loop to ensure that day guests could only ride the express? I honestly am not sure. I don’t remember monorail handstamps. Are you sure they were stamping at the resorts, and that it wasn’t just a reminder to get your handstamp at the park? I had a love hate relationship with the stamp at WDW as a kid. I loved returning to the park and seeing a magic blurred mark on my hand in spaceship earth (blurred due to pool time back at a villa). However, I genuinely think the turnstiles cast members got a kick out of ferociously stamping kids hands. I always ended up bruised! You must have had the ungentle CMs! I remember it being a very light dabbing of the hand. But spot-on with the blurriness. You could never tell quite what it was supposed to be.